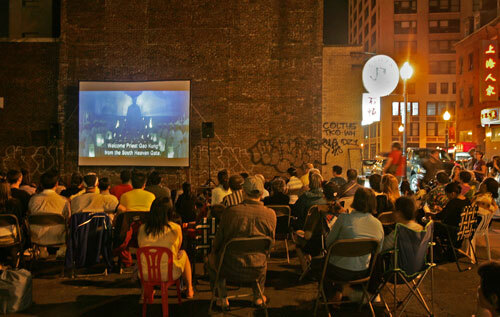 Fans of martial arts films take notice: The annual Films at the Gate series is happening tonight through Sunday in a normally vacant lot in Chinatown. See such English-subtitled classics as "Drunken Master," featuring a young Jackie Chan meeting his match in an inebriated old Kung Fu fighter, and "Shaolin Soccer," a delightfully absurd sports film that merges soccer with intense martial arts action. Check the website for a full schedule and information about martial arts demos and other festivities. Tonight's free screening is horror/comedy "A Chinese Ghost Story." Pre-show activities kick off at 7 p.m. and the movie starts at 8 p.m. The lot is on Hudson Street between Beach and Kneeland Streets, near the Chinatown Gate. Seating is limited — feel free to bring chairs.